Israeli fighter jets targeted a Hamas “military target” in northern Gaza on Monday in response to Palestinians infiltrating the border and laying bombs the previous day, the army said. There were no immediate reports of damage or casualties from Gaza. 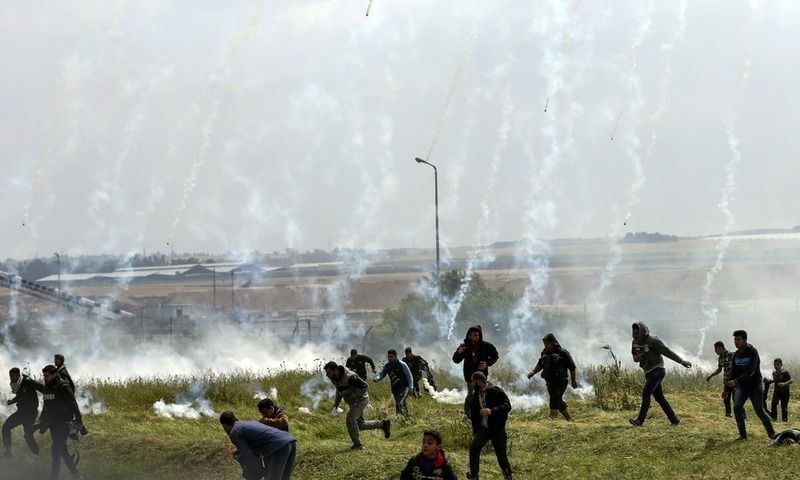 Israel has faced mounting questions over its use of live fire after 10 days of protests and clashes along the Gaza Strip border in which its forces have killed 30 Palestinians, according to Gaza’s health ministry. It alleges Hamas, the Palestinian movement that runs the Gaza Strip and with whom it has fought three wars since 2008, is seeking to use the protests as cover to carry out violence. Rights groups have harshly criticised Israeli soldiers’ actions, and Palestinians say protesters are being shot while posing no threat to troops. On Sunday, the International Criminal Court’s chief prosecutor Fatou Bensouda said she was opening a preliminary probe to determine whether there was enough evidence to launch a full-blown investigation into any alleged crimes committed by Israel or Hamas.